What if your engineering teams could solve technical challenges 30% faster than your competition? 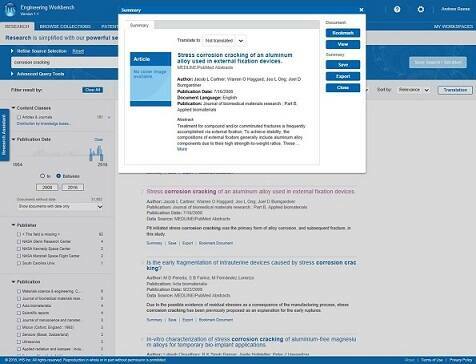 What if you had single-source online access to a comprehensive technical reference library? The Expert Index Collection by IHS Markit is a comprehensive, easily searchable collection of trusted, authoritative engineering and technical reference content to help engineers, scientists and other technical professionals quickly make the best decisions. 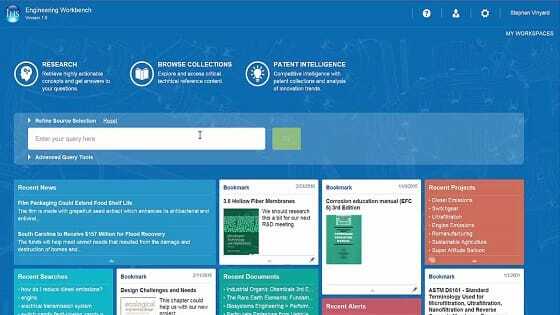 With the Expert Index Collection, engineers, researchers and scientists are able to rapidly discover answers across an extensive, vetted collection of more than 75 million technical articles, publications, reports, design principles/best practices and more, including more than 100 eBook titles. The Expert Index Collection is delivered on Engineering Workbench, which incorporates artificial intelligence technologies like machine learning and natural-language processing to accelerate research by helping you pinpoint precise answers from within a large body of materials. Engineers and others use the Expert Index Collection to gain the knowledge they need to solve complex problems, identify innovative methods to improve manufacturing throughput, implement proven approaches for quality assurance, reduce non-compliance risks, and more rapidly make confident, informed decisions. Increasing engineering productivity sounds great, but how can the Expert Index Collection help you meet your goals? It's the combination of comprehensive content with next-generation search technology that differentiates Expert Index from any other solution for technical reference. The Expert Index Collection is delivered on Engineering Workbench, which incorporates artificial intelligence technologies like machine learning and natural-language processing to help engineers quickly find the answers they need within this universe of vetted content. 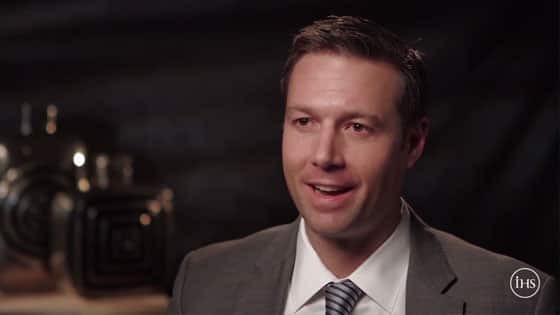 Knowledge discovery: When you’re unsure of where to look, Engineering Workbench uses patented knowledge discovery technology to act like a "virtual subject matter expert" to rapidly guide you to the best answers and solutions. NASA Tech Briefs: exclusive reports of innovations developed by NASA and its industry partners and contractors. The Institution of Chemical Engineers (IChemE): publications include the Loss Prevention Bulletin, IChemE’s journal archive containing over 70 years of essential research and over 3000 original papers, and the Hazards symposium archive covering topics such as inherently safer design, safety management systems, risk assessments and analyses, and the human behavioural aspects of safety in the process industry. Expert Index Collection also boasts a cross-section of technical reference titles with broad applicability as a complement to many Knowledge Bases included in the Expert Index. Includes complete full-text, PDF access. The collection includes approximately 100 titles. The title list is reviewed periodically and revised as necessary to meet the evolving requirements of our customers. 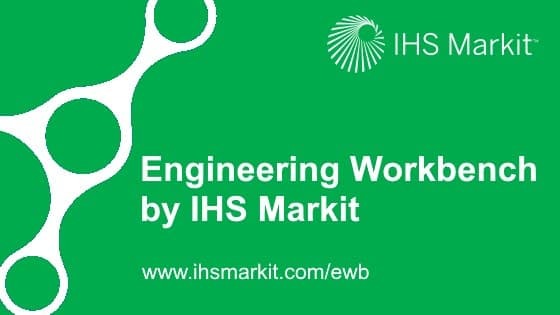 The Expert Index Collection is delivered on IHS Markit Engineering Workbench. 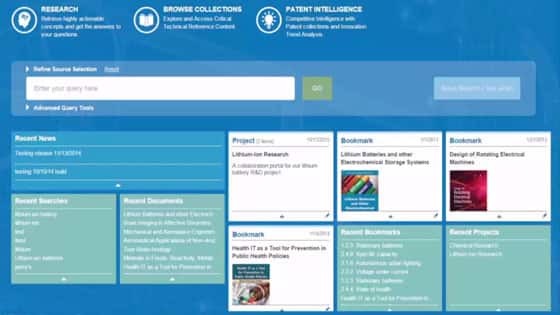 Engineering Workbench is a unified technical knowledge platform that enables engineers, researchers, scientists and others to rise above the challenges associated with accessing critical technical information. The three components of Engineering Workbench are Content, Analytics and Tools. As a result, engineers solve problems faster, researchers discover more efficient processes sooner, and product teams deliver innovations to market ahead of the competition – driving growth, profitability and risk mitigation. 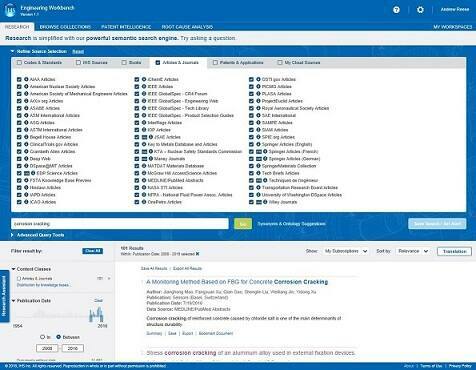 The Expert Index Collection is delivered on Engineering Workbench by IHS Markit. Watch the demo below to see Engineering Workbench in action and learn how the intuitive platform accelerates engineering productivity by making it easy to access a wealth of knowledge and pinpoint the answers you need to solve your technical challenges. 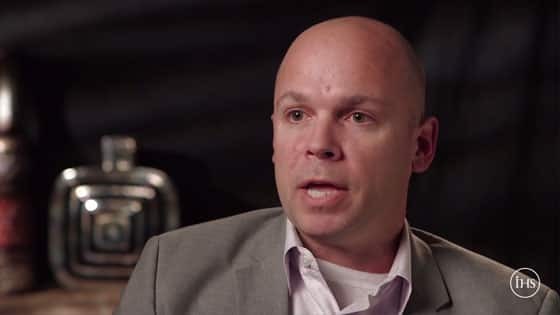 Watch our other videos to learn more about solutions for technical knowledge management.